For those of our loyal readers who are still in the formative years at school, not sure what they want to be when they grow up, perhaps somewhere in their mind they aspire to become a journalist or writer for a publication that covers the fascinating world of mobile devices. Well, we just might be qualified to give them a tip or two to show how things are done. Sometimes, you need to have the right tools. One such tool is a great app called the Nexus Availability Checker that you can set to check the Google Play Store as frequently as every minute. Once a change in status is discovered for the devices you select, you are notified via a vibration or your usual notification sound (which for us is the famous Doink Doink from Law and Order). When we first told you about this app, we mentioned that it might be a lifesaver for those who desperately need a Google Nexus 4 because it could give you an early warning before most of the public is aware that the rare handset is back in stock. Even if it gets you ahead of the crowd by just a minute, that could be the difference between buying the phone or getting shut out. But we also pointed out how it can be used to scoop the competition in the cut throat business of electronic journalism. 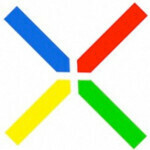 For example, Monday afternoon we were alerted to the fact that the Google Nexus 10 and its 2560 x 1600 resolution was sold out for both the 16GB and 32GB models. With a 300ppi pixel density on its 10.05 inch display, this slate out does the 264ppi pixel density on the display of both the third and fourth-generation Apple iPad. A few hours later, we heard "Doink Doink" which meant wither another Law and Order repeat was on the television, or we were being alerted to a change in status of one of the Google Nexus models. Was the Google Nexus 4 back on sale? Nope. The alert was to tell us that the Google Nexus 10, sold out just hours before, was back in stock at the Google Play Store. Not only is it in stock, but will be delivered in only 3 to 5 business days. So once again you have the ability to shell out $399 for the 16GB model or $499 for the 32GB variant. Both are Wi-Fi only and are manufactured by Samsung. And if you're interested, better buy it now before we get Doink Doinked again. And since we would love nothing more than to nurture future journalistic superstars, you can get more information about downloading the Nexus Availability Checker by clicking on this link. I like the improved Nexus 10 rumor, doubling CPU & GPU cores would make it the ultimate 2013 10"-er, not to speak about the possibility of the bigLITTLE architecture. 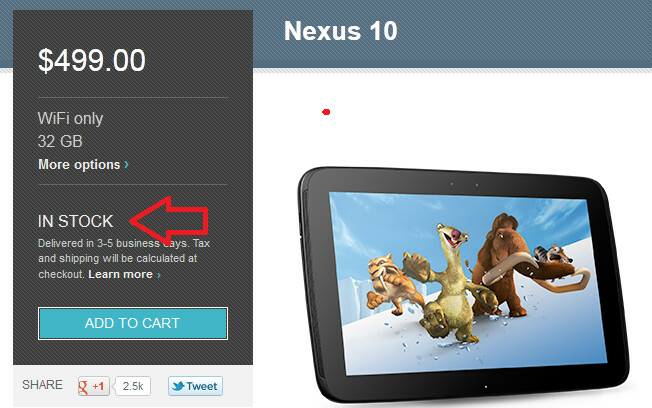 Are you sure it's back because its showing as sold out for both models of the nexus 10 here for the UK? Or did it get sold out again? NOW PLEASE MAKE AN OTTERBOX FOR THE NEXUS 10 PLEASE!!! !